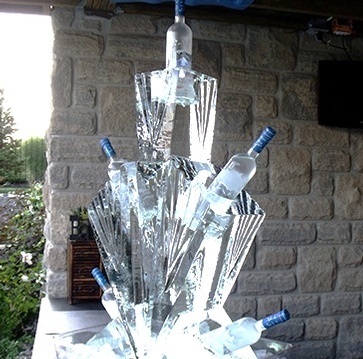 Welcome to Festive Ice Sculptures and my world of ICE. 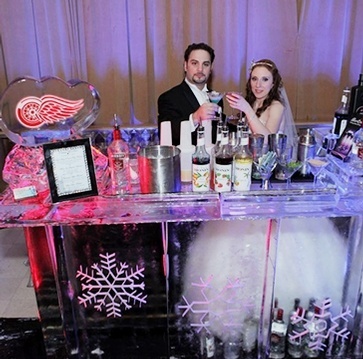 As I bring your thoughts and ideas to life in Ice, where 280lb crystal clear blocks of ice are turned into exquisite works of art for all types of events and functions. 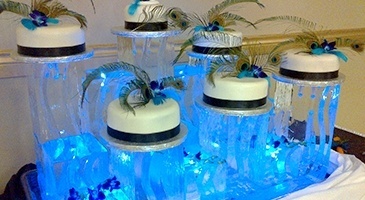 We will create an Ice design to suit your special needs. 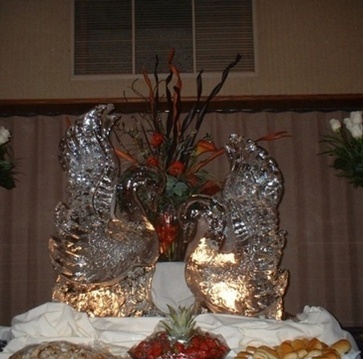 Festive Ice can design any ice sculptures of your choice, and we can also conceptualize custom designs based on the event and your décor ideas. 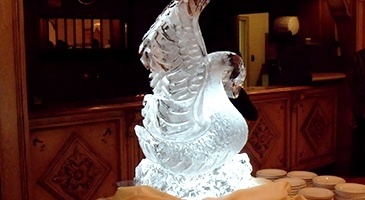 Our exquisitely detailed, personalized and theme-based ice sculptures add to the atmosphere of happiness and excitement at Weddings & engagements, Birthday celebrations, Corporate functions, Parties & other events. Ranging from popular martini luges to conversation pieces that help break the ice, our sculptures serve a wide variety of purposes. 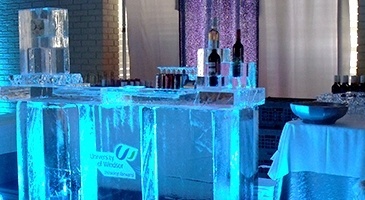 Based in London, Festive Ice Sculptures provides ice sculpture for events throughout Southern Ontario and surrounding areas. London, Windsor, Cambridge, Hamilton, St. Catherines, Niagara Falls, Kitchener, Toronto, Oakville, Mississauga, Guelph, Sarnia, Leamington, Chatham, Brantford, Burlington, Waterloo and Brampton.